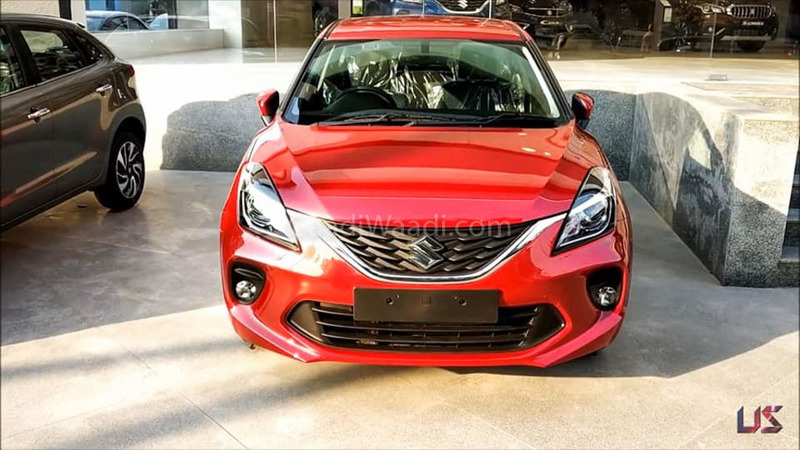 Just a week ago, Maruti Suzuki introduced the updated version of the Baleno premium hatchback in the Indian market priced between Rs. 5.45 lakh and Rs. 8.77 lakh (both prices, ex-showroom New Delhi). The premium hatchback that has been running for more than two years comes in Sigma, Delta, Zeta and Alpha variants with improved features list and cosmetic changes. On the outside, the 2019 Baleno comes with subtle revisions as it is just a mid-cycle update. The front fascia gets sportier courtesy of the modified grille with 3D design while the bumper is redesigned for a more pleasing appearance. Additionally, the front fog lamps gain new garnish along with wider central air dam. The LED projector headlights are offered from Delta grade while the Alpha version receives brighter LED Daytime Running Lights. The Delta and Zeta variants only comprise of LED guide lights. The UV cut glass windows and follow-me-home function are presented at the range-topping Alpha trim alone. Moreover, the new Baleno runs on newly designed 16-inch wheels to enhance the visual stance. 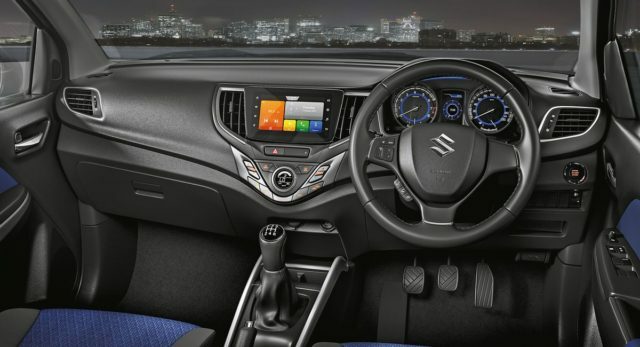 Inside the cabin, the facelifted Baleno gains blue and black seat combination with ornamental updates. The air conditioning vents and dials are done up in grey and silver finish this time around with the leather wrapped steering wheel restricted to the top-of-the-line Alpha variant. The Baleno also features new SmartPlay touchscreen infotainment system with Apple CarPlay and Android Auto connectivity as in the new-gen Wagon R. Resultantly, the vehicle alert system allows for technologies like seatbelt reminder, reverse parking assist, etc. Electrostatic touch functionality is added to the 2-DIN audio in Delta model. 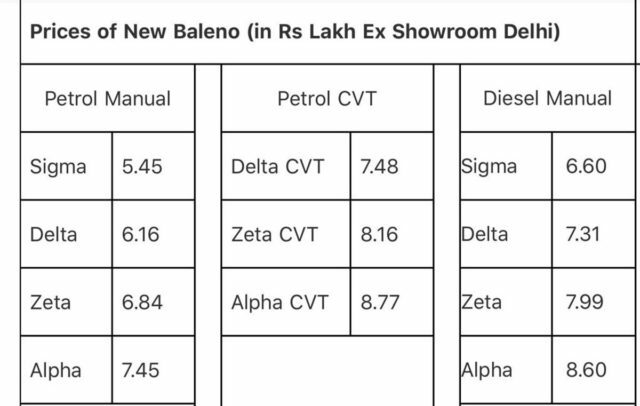 No mechanical changes have been implemented as the 2019 Baleno derives power from the same 1.2-litre K series petrol and 1.3-litre DDiS diesel powertrains with CVT only offered in the petrol unit. Five speed manual transmission is provided as standard on both the engines.